Our Amish fireplace mantel will bring style and warmth into your home or office without the clean up required from wood fireplaces. 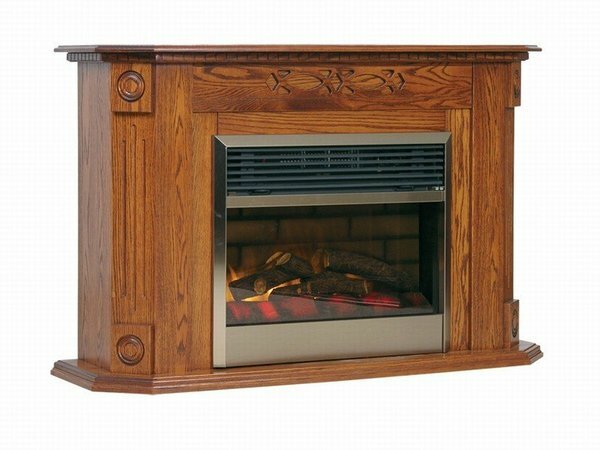 This solid wood free standing electric fireplace is portable and can easily be moved. You and your guests will be amazed at the realistic look of the fireplace flames. This fireplace does not need to be fastened to the wall. The electric fireplace use halogen bulbs for the flame and light. The electric fireplace units are not LED. All electric fireplaces come with a remote control which allows you to operate with heat only, flame only or both heat and flame.